I've never been a huge fan of Yams or Sweet Potatoes; my palate seems to taste them as a cross between a Potato (something I do like), and a squash (something I can force myself to eat because its "good" for me). Still, every now and then this root finds its way into a dish on a table where I dine (usually at the holidays) and I occasionally give it a chance. This Easter it was a Yam Casserole that I had to give a chance to for its somewhat unique and festive preparation. 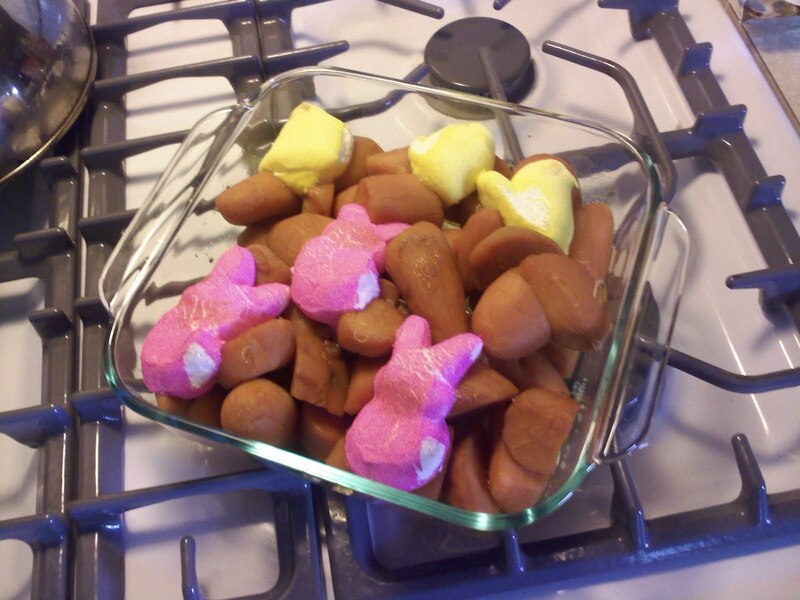 Being short of marshmallows to top the Yams, one of the creative chefs in my house dug into the undistributed marshmallow peeps and threw a few in on top of the brown sugar. I suspect they didn't cover the entire dish just in case this turned into a culinary disaster. The sugar coating on the peeps added an interesting texture to the dish which I wasn't really expecting. The marshmallow center of the peep remained almost fluid (more so than a marshmallow would have) and was another welcome surprise. Aside from that the recipe was pretty much what you would expect from Yams. I found that I did enjoy this twist on the recipe more than the standard approach but its not to the point where this is a dish I would personally request. The reviews around our dinner table were also mixed with my daughter Brittany giving the big 'NO' vote on the peeps. If you are going to give this a try you might want to prepare a half/half dish just to see how well it is received.